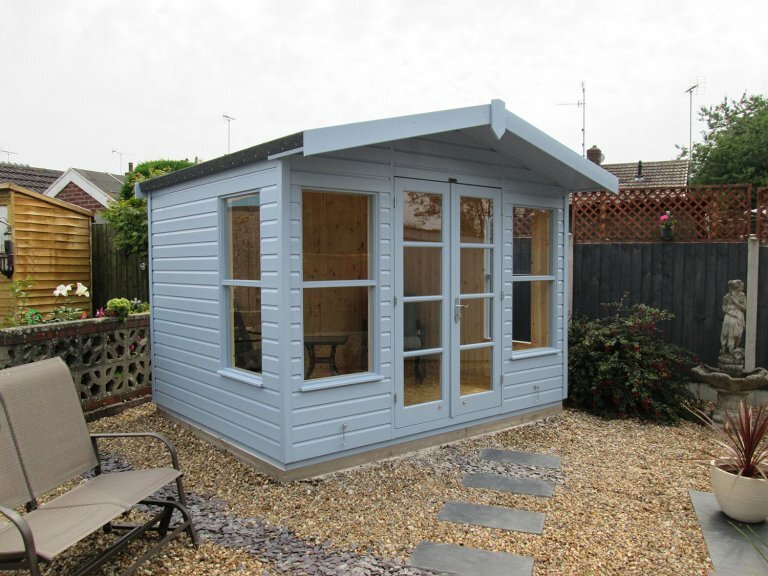 There is a range of size options available with all of our summerhouses, with this particular model measuring 3.0 x 2.4m. The building enjoys an overhang on the gable, providing shelter during the winter months and shade during summer. The apex roof is covered with our heavy-duty, heat-bonded felt and the traditional chalet-style exterior is painted in the shade of Sundrenched. Internally, the summerhouse enjoys lining and insulation in the walls and ceiling with pine lining giving a rustic look to the interior. The customer also had the choice of either chrome or brass door furniture, settling on the contemporary option of chrome. 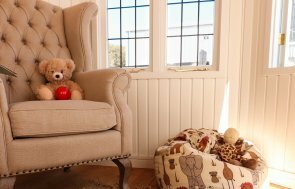 In order to take a look at our entire range of Summerhouses, the best way to do so is by paying us a visit at one of our several, UK-based show centres. With a team of friendly advisors on hand to help and answer any questions and up to 25 buildings on display, our show centre in Surrey is located at the Hillier Garden Centre in Windlesham. Alternatively, you can also get in touch with us if you prefer.